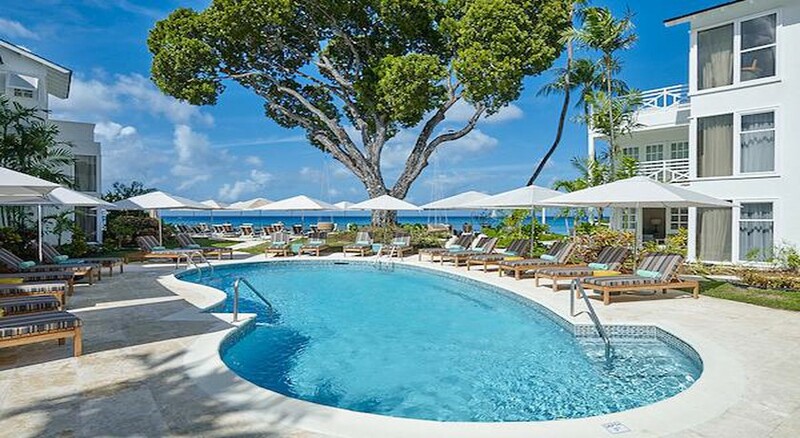 Treasure Beach by Elegant Hotels in St James is an Adults Only retreat with luxurious amenities and impeccable service. 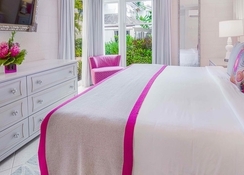 Nestled on a sandy beach, this lovely property offers contemporary suites furnished with most modern amenities, attractive décor, a delightful pool and a restaurant. With warm and unobtrusive hospitality, the hotel gives guests ample opportunities to relax in privacy. The area is good to indulge in a number of sports and activities such as snorkelling, water skiing, etc. 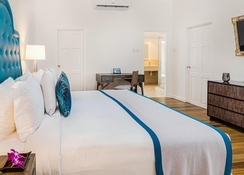 The hotel is a short drive away from most of the tourist attractions in St James. The Folkestone Marine Park and Museum sits just 3.5km from the property, while the Grantley Adams International Airport is about 25km. 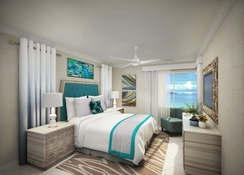 Treasure Beach by Elegant Hotels is located right on the beach in St James with several tourist attractions close by. The hotel is in a neighbourhood of numerous first class hotels and resorts, as well as shops, bars and restaurants. The Folkestone Marine Park and Museum is only 3.5km from the hotel. The property is just 45 minutes’ drive from the Grantley Adams International Airport. 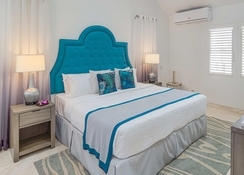 Treasure Beach by Elegant Hotels has 35 contemporarily decorated one-bedroom guest suites with custom design and renovations to offer the most comfortable stay. 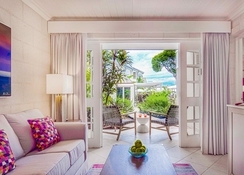 These guest suites feature separate balconies/private patios presenting lovely garden, pool or sea views. In the Garden View Suite, you have your balcony/patio open into a tropical garden and immerse yourself in the experiences of a tropical garden. Pool and Ocean View Suites offer similar experiences with of course a view of the pool and sea. 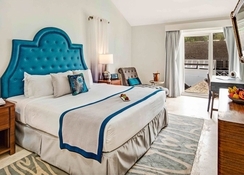 The Muse suite has a large bedroom and living area opening to a private patio with plunge pool with a backdrop. All the air-conditioned suites have a flat-screen TV, a seating area and a spacious bathroom with free-standing shower and separate soaking tub. Treasure Beach by Elegant Hotels has the delightful Tapestry restaurant captained by an award winning chef. Guests will be taken on a culinary tour with delightful tastes from across the world, not just Barbados. The wine cellar is the place for wine connoisseurs with a private sommelier featuring fine drinks from around the world. Guests can opt-in to Taste of Elegance Dine Around Programme* and dine and wine at 20 of the nearby fine restaurants and bars. The hotel has a lovely pool and sun chairs and sun umbrellas are provided. The Batik Bar is the place to enjoy classy alcoholic and non-alcoholic drinks with lovely oceanfront scenery. A number of sports and activities such as snorkelling and water skiing can be availed at the St James Beach.